Carbery Plastics Limited was originally established in 1977 by the McCarthy family outside Clonakilty, Co. Cork. Nearly 40 years later, Carbery has grown significantly. Today, whilst Carbery is an undisputed Irish and European leader within its chosen markets, it still remains an independently owned and managed business. The McCarthy family continue to be actively involved in Carbery’s day to day operations and continue to serve the business as company directors. Carbery originally specialised in the manufacture of rotationally moulded, plastic products for agricultural applications. Manufactured products were initially supplied primarily to customers within Munster, southern Leinster and Connacht. However, by the mid 1980s, a growing product range accompanied by growing sales, required Carbery to relocate to larger premises in the Clogheen area of Clonakilty, where today it remains a significant employer. 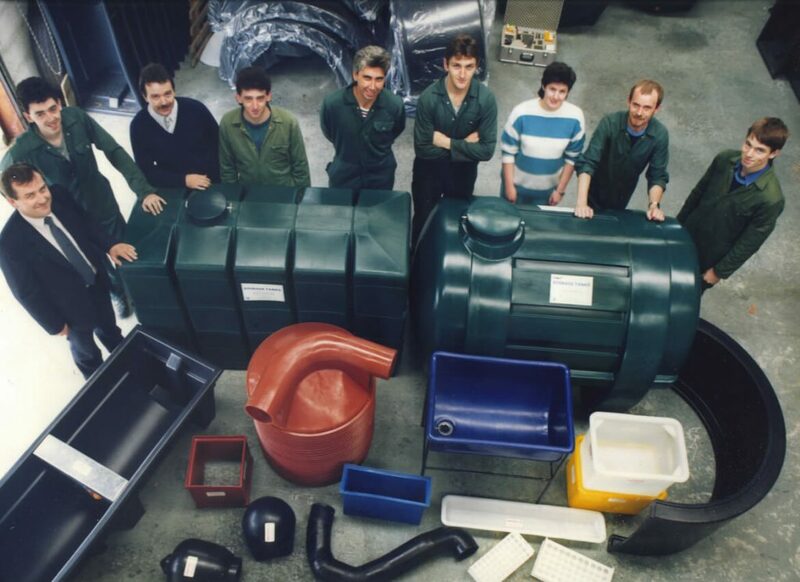 In 1985, Carbery launched its first plastic storage tank, entering a market sector which was to grow in importance and significance for the company over subsequent decades. At the time, a plastic tank was something of a novelty. 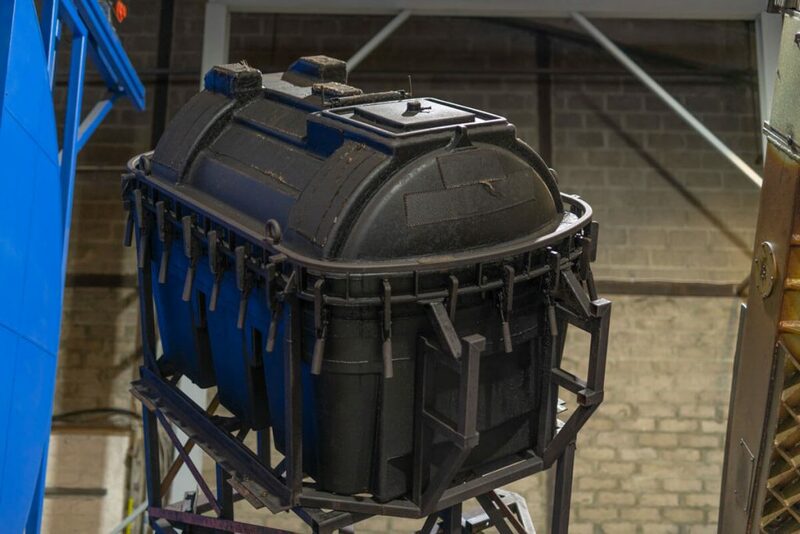 However, Carbery tanks quickly established themselves as an environmentally responsible alternative to old-fashioned steel tanks in Ireland, and were to spearhead Carbery’s expansion into the UK. The remainder of the decade saw Carbery continue to grow, to invest and to expand as the business developed a strong presence across Ireland and made its first inroads into the British market. The 1990s saw Carbery go from strength to strength, with further investments in new technology and production processes. Significant investments were made in new rotational moulding machinery together with material processing and handling equipment, to ensure that as the new millennium approached, Carbery was ideally placed to capitalise upon new market opportunities. The company also continued to diversify its product base with the introduction of recycling banks. 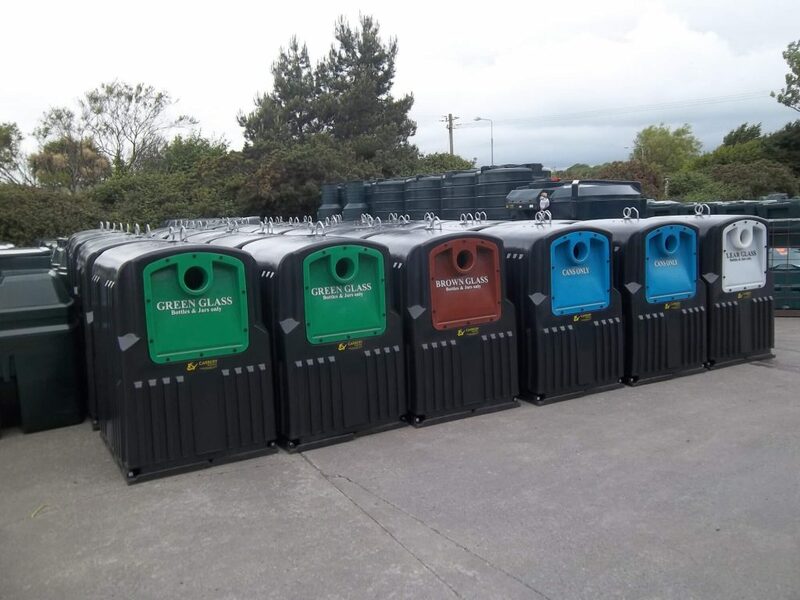 Today, Carbery recycling banks can be found not just across Ireland and the UK, but in many European towns and cities too. Carbery entered the twenty first century, strongly positioned within its chosen market sectors. However, recognising that you don’t stay ahead by standing still, the business continued to invest in new products and technologies. Computer Aided Design (CAD) software was introduced, dramatically reducing product development time, alongside Finite Element Analysis (FEA) for product testing purposes. A range of environmentally preferred, integrally bunded heating oil tanks was also introduced. Such was the success of the new range, that it was quickly followed by Carbery’s market leading range of Fuel Point bunded diesel storage and dispensing tanks. Recognising that you don’t stay ahead by standing still, Carbery continues to plan and invest for the future. Recent years have seen continued product development, diversification and new market development. Led by an experienced manufacturing, general management and commercial team, Carbery remains a business committed to continued growth and success within its chosen markets. Recent product introductions include a new range of tanks for the safe, secure storage of Adblue, a pioneering range of Mobi Point diesel storage and dispensing tanks, together with Carbery’s all-new market leading 1000SB Superslim Bunded Heating Oil Tank. And beyond the company’s retail range, it continues to develop it’s contract moulding operations too – satisfying the requirements of a diverse and demanding customer base in Ireland, the UK and throughout the EU. To find out more Carbery, why not call us today on +353(0)23 883 3531, e-mail info@carberyplastics.ie or complete our online contact form? There’s no commitment or obligation, just the opportunity to connect with a team with unrivalled experience in the design, development and manufacture of rotationally moulded products.